Community 1st Oldham supports our public sector partners in improving the health and community premises in Oldham to ensure they are fit for purpose and operating efficiently. We are working in a long term partnership under the Local Improvement Finance Trust (LIFT) programme which has successfully delivered a range of building improvements across Oldham. These vary from new build to refurbishments and minor capital works to improve existing facilities for our partners. Watch the Community 1st Oldham video below for more details of what we have achieved to date. Community 1st Oldham is committed to minimising the impact on the environment and integrate sustainable design features along with green technologies and energy solutions in various community buildings in Oldham. 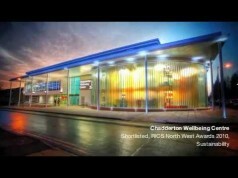 For more information and to read about award winning buildings in Oldham see the Green Oldham area on our website. Community 1st Oldham aims to engage members of the local community in all our developments and estate improvement activities. We have supported many creative projects to involve talented students and artists in making health and wellbeing centres inspiring places for community use. We also support local enterprise and employment opportunities as well as healthy living in the area. Follow us on Twitter: @Comm1stOldham!